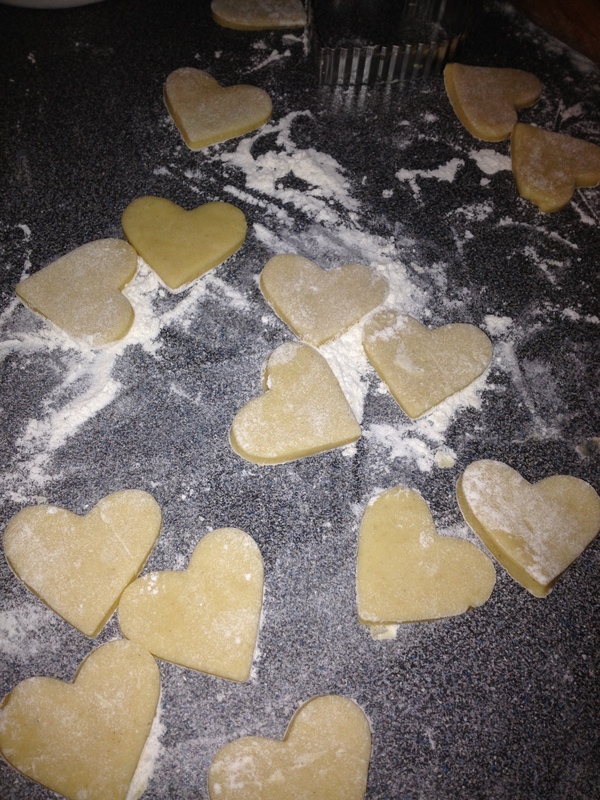 I feel like I was writing about Christmas last week, and all of a sudden, Valentine’s Day is just around the corner! I thought I’d put together a few ideas for simple, romantic meals to cook on the day. Cooking a romantic dinner on a Tuesday night after a day at work and toddler bath time/bedtime madness does seem like a challenge, but it is entirely possible to whip up something special in just a few minutes. 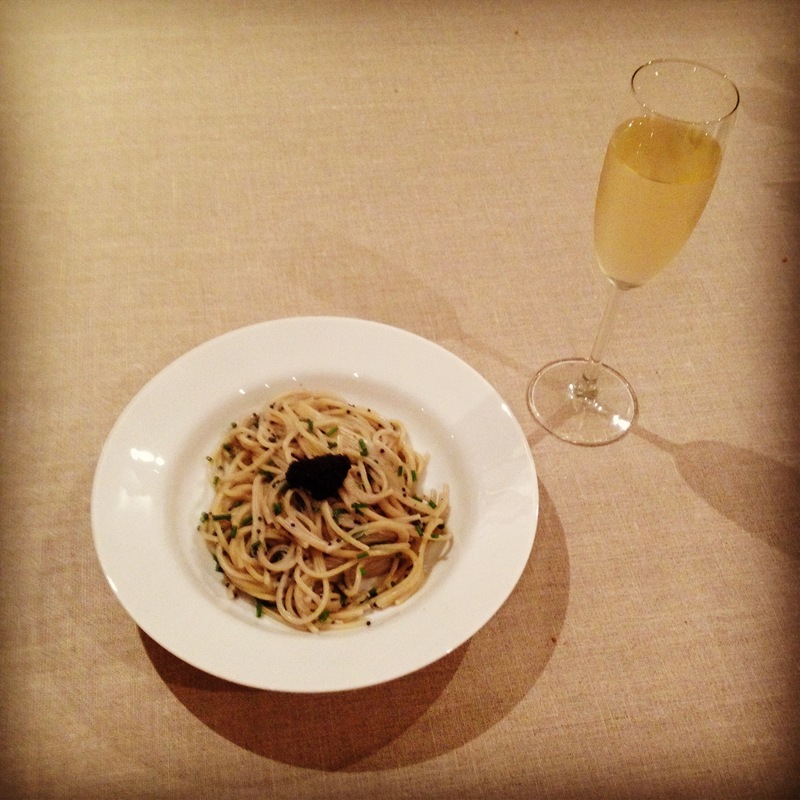 I might borrow a page from Rachel Allen and cook a meal that’s a bit posh, but quite simple to put together – Spaghetti with Caviar. This recipe is adapted from Food for Living. Cook pasta according to directions on packet in a large pot of boiling, salted water. While pasta is cooking, place fish stock in a smal saucepan and boil, uncovered, for 2-3 minutes until reduced by half. Take stock off the heat, whisk in creme fraiche, stir in caviar and chopped herbs. Once the pasta is cooked, drain and mix with the caviar sauce and serve. This dish is lovely served with dry champagne (or the bubbly of your choosing – I’m a big fan of this prosecco, but am also a firm believer that you can never go wrong with Veuve Clicquot’s Yellow Label – if there’s any night of the year that worth splashing out on the good stuff, this is it. For dessert, something citrusy hits the spot after all of the salty herbiness of the pasta – lemon macaroons from this shop, or these lemon puddings, from, again, Rachel Allen. You could even make them in these sweet little ramekins from Tesco. I picked up a set last week…it’s hard to beat the value – two for €2.50! If you have a meat-lover in your life, steaks are actually a great week-night meal, as they take relatively little time to cook. I love this recipe for Strip Steaks with Red Wine Sauce. I’ve made it with rib eye steaks as well as strip steaks, and I think it works well with both. Serve with Caesar salad (yes, the pre-pack is fine!) and baked potatoes and you’ll be lucky in love for sure. This lovely red is ticking all of my boxes these days and is fantastic value if you can get your hands on it. I love to follow a nice steak dinner with a tiny bit of rich chocolate – this cake hits the spot. 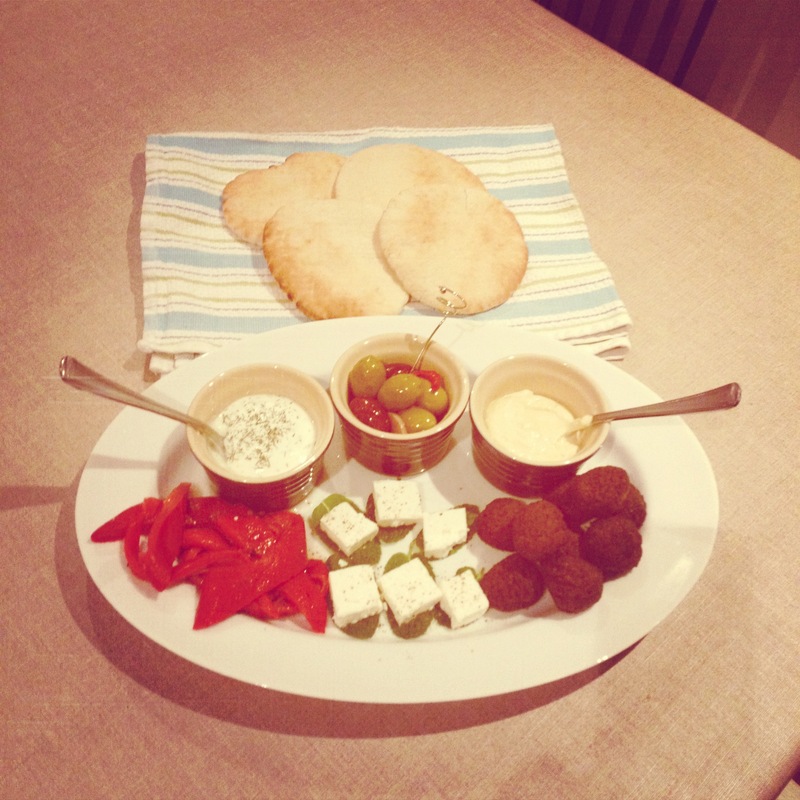 Another quick and easy meal that can be romantic is one of my favourite no-cook options – a mezze. I absolutely adore the food of the Mediterranean & Middle East and love eating with my hands, so I’m a big fan of laying out a spread of nibbles from that part of the world, pouring 2 large glasses of red and calling it dinner. Most items are usually served at room temperature and can either be made far in advance or popped out of a jar at the last minute – olives, almonds, pitta (or other flatbreads), hummus, vegetables roasted or grilled in olive oil (think peppers, aubergines, courgettes), feta wrapped in mint leaves, grilled halloumi, and if you’re feeling fancy, some falafel and babaganoush. I’ll be honest here and admit that I usually warm some shop-bought falafel in the oven, but this recipe will also do the trick if you want to make it from scratch. If you’re looking for a wine pairing, I highly recommend a bottle from this Lebanese vineyard. I’ve had a few of their reds over the years and they are absolutely gorgeous. For afters, some clementines accompanied by a few squares of dark, almost bitter chocolate is happiness defined. And if all else fails, there’s always Dine-In delights from Marks and Spencer, who have a slightly more expensive, but very appealing offer on in their Food Hall this week. Who knows…I could end up there myself on Tuesday afternoon depending on how my calendar looks. Happy dining, lovebirds! Ahh, La Pieve and Protocolo..two of my absolute favourites!